Some weeks are really long. Sometimes, it seems like Friday will never come and sometimes you just need to get out and dance off a long week. Despite the surprisingly warm weather, this week seemed to drone on forever. I worked a little too much and now I am ready to play. Luckily, Big Freedia and Boyfriend are coming to town this Saturday. 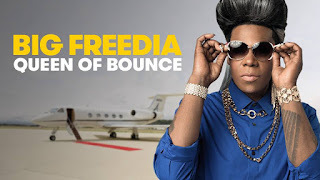 Big Freedia and Boyfriend are two acts that will inspire you to dance. The Shelter will be packed from wall to wall with other Detroiters who want to have a good time and anyone who comes out to the show will leave with a smile. Tickets to join in on the fun are $20 in advance, you can purchase them here. We also have one pair of tickets to give away to one lucky music lover who wants to let loose. If you would like to enter to win a pair of tickets, please email your full name to hipindetroit@gmail.com with the subject line #dance. We will draw one lucky winner on Saturday morning and email them details on how to claim their good time!